Disk partitioning is the process of making multiple logical storage units which we can call partitions on one hard drive. Most hard drives that come in computers now are often formatted with only one large partition. The main reason you would want to partition your hard drive would be to keep all your data safe in case something happens with your operating system because then you could install your operating system and programs in one partition and keep all your documents and data on the second partition. Another reason would be to install multiple operating systems, either because of multiple users or just for the fun of it. For windows based computers, there are many programs which can be either downloaded or purchased that can assist you to create partitions on your hard drive. I personally believe these are a waste of time because Windows has a perfectly good hidden disk management system. 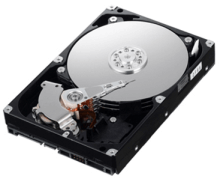 The first thing we will need to do will be to find the disk management software which we can do by typing disk management in your search window. The entry you will need to click on will be the one marked as Create and format hard-disk partitions. The second thing we will need to do will be to select your hard drive from the list that you will find on the bottom pane of your disk management tool window. This will be the disk that will be split and have a designated amount of space. You will then need to right click on the main partition, which is your hard drive and select the Shrink Volume option. The program will then take some time to calculate how much space it can split off from the main drive. It will take some time and this wait time varies based on the speed of your computer as well as the size of your hard drive. After everything has been calculated, you will receive a popup window which will ask you to enter the partition size that you would like to cut away from your current single partition on the hard drive. You will need to remember that the size you enter will be in megabytes and that there are 1024 megabytes in 1 gigabyte. When you have entered the size of your new partition, click the Shrink button and wait for it to be processed. When it has completed this phase, your hard drive will have its cleared space available for partitioning and you can get ready to set it up for use. You will need to right click on the empty partition which will be called Unallocated from the same bottom pane in the disk management utility we mentioned in the beginning. Select the option that says New Simple Volume from the popup menu. After you have done this, you will see a wizard (no not a magical one, a guide with some steps you need to complete) which will help you to format the partition. It will ask you for the size of the partition you want to create, allow you to give it a Drive Letter, and select the file system (You will probably want to format it as an NTFS drive). Before you actually format it, you will be given a summary of your choices. When the formatting process is complete you can navigate to My Computer and you will see your new hard drive partition displayed with whatever letter you assigned to it. For our final step, go ahead and transfer your data to the new partition and enjoy. In order to ensure the best results when partitioning your hard drive, it is best to use an almost empty hard drive, and also to defragment it and perform a cleanup before doing all of this to ensure you have the maximum amount of available disk space possible.